While I am still not convinced that the flavor is as good with gas grilling—over charcoal—it is certainly more convenient. 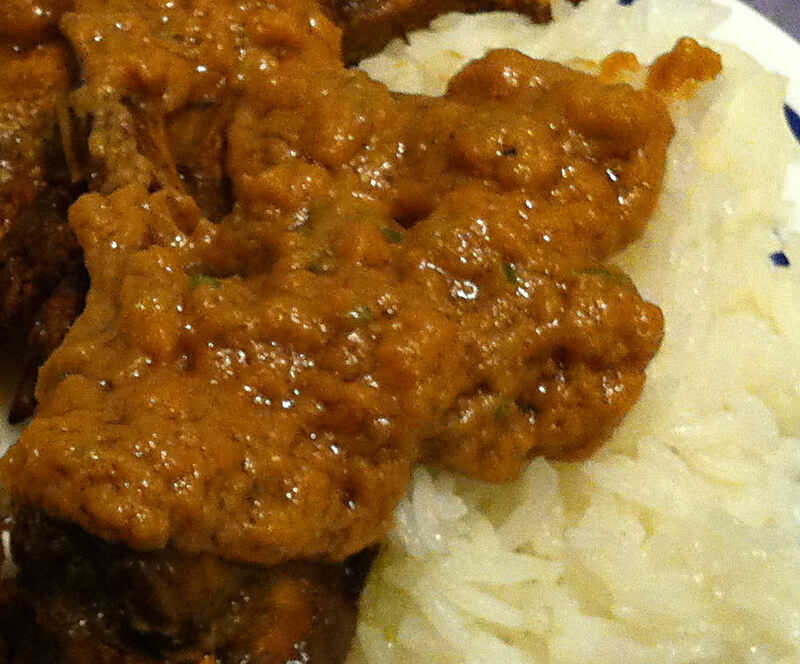 Wanting something a bit different for a weeknight dinner, I settled on chicken satay. 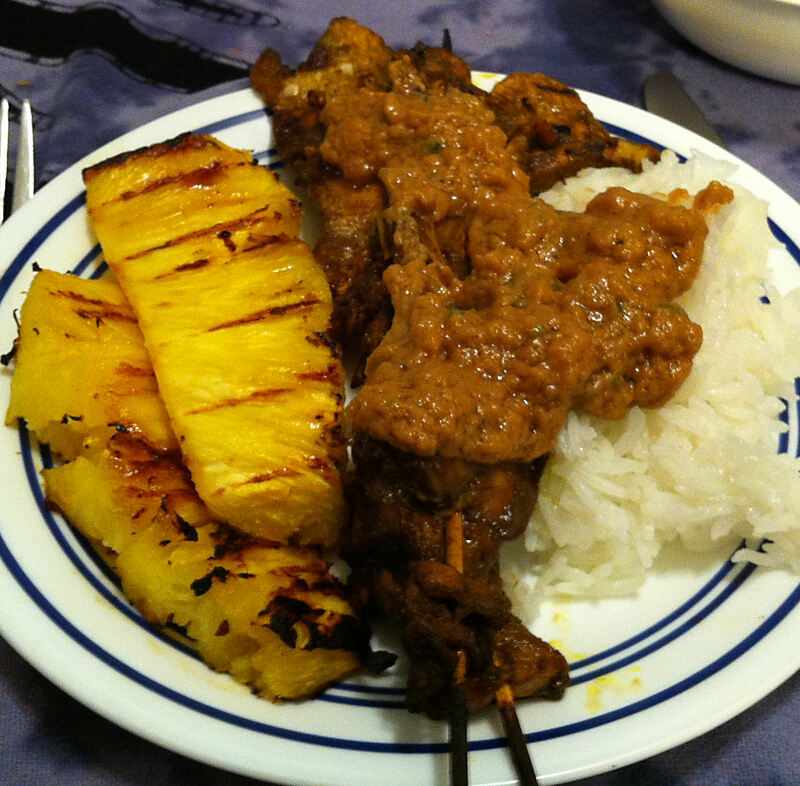 Satay, in the end, is just marinated meat grilled on a stick. While originating in Indonesia, it spread over Southeast Asia with each culture adding its own distinctions. Usually it is accompanied by a dipping sauce, some kind of peanut sauce being one of the more common. I needed a sauce to go with my chicken satay. While I made a peanut sauce for my Vietnamese Summer Rolls, I wanted this one to be more Indonesian. Out went the hoisin sauce and the fish sauce. Palm sugar is a common Indonesian sweetener—and is lower on the glycemic index than white sugar. I also had that fresh pineapple I was planning to grill, so in it went.